Situated in the centre of Oslo, near to Aker Bridge, this centre is close to great transport links, shops, restaurants and more. It is just five minutes from the Concert Hall, and down the road from a cinema. The centre was recently renovated to provide comfortable and efficient office space to suit a range of business types and sizes. This centre currently holds approximately 25 other businesses with which you can collaborate. Free yourself to work at your best in these thoughtfully designed, modern coworking spaces in Norway’s tallest office building. As well as renting furnished offices, you can also hire top-quality meeting rooms that will present a professional image to clients. The workspace is on the third floor, and includes comfortable refurbished common areas and a large cantina, which are ideal places for networking. Located in the heart of Oslo, this business centre provides a range of fully furnished offices spaces ideal for professionals and entrepreneurs. With a selection of flexible, affordable and bespoke membership packages, you can choose options that suit you best. Membership also allows you access to meeting rooms, large board rooms and event space. Offices are fully equipped with everything you need and ready to use. On-site you will also find a conveniently located cafe. This business centre is featured within a stylish, modern building and offers a range of professional services to help your developing business expand. These features include; 24-hour access & security, reception services, high-speed internet, lounge areas, conferencing facilities and break-out rooms. Spacious meeting rooms are also available on-site which are great for collaborative purposes. 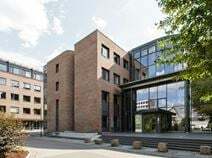 The building is extremely well connected via public transport links, with three underground stations nearby and within walking distance to the Hammersborggata Bus Station. In addition, the airport is proximate, allowing your employees to travel abroad to meet clients. Local bars, restaurants and cafes surround the centre within short distances as well. 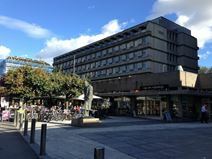 Located in Vika, the central business district of Oslo, home to major businesses in a variety of industries, this centre offers a range of office solutions to suit your needs, including a cost-effective shared campus option. The working atmosphere is impressive yet comfortable, with a beautifully designed lounge/break out space. This centre is accessible 24/7, with telecoms and shared internet to ensure your business remains well connected throughout your occupancy. Located in a prime area of Olso, this building has unique access from the E18 road link, and offers a range of state-of-the-art facilities to enable your company's success. There is an administrative support team to help your operations run efficiently, as well as a secretarial team that will greet your clients with great professionalism to leave a lasting impression. Here, you can benefit from great transport links as well as a lockable bike storage, making commutes as simple as possible for all. In addition, there are events venues near by where you can host conferences and conventions within walking distance! Located in the heart of Oslo, this new high-end business centre comes fully equipped with open work spaces and meeting rooms, optional private office use, showers, dressing rooms and bike racks. The centre benefits from an easily accessible location near restaurants and shops where you can accommodate and entertain your clients. There are also lots of attractions close by, such as museums, monuments and theatres. he offices are suitable for businesses with one employee and up to companies with over 40 employees. This new business center offers fully furnished, high tech offices with mail services, photocopying facilities and prepared meeting rooms. The center is located centrally within Oslo, where many other established companies are based, and the buildings are designed using the Barcode concept with sight lines in between. 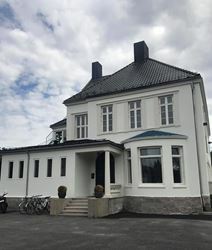 A selection of office space is available to let in this prestigious building located in Oslo's business district, in a prime address which will definitely enhance the image of your company. These offices are equipped with advanced technology systems, high speed internet connection, videoconferencing facilities and are provided with a full range of support services offered by an experienced multi-lingual team. The offices are immediately available and ready to use so you can start working from the very first day. 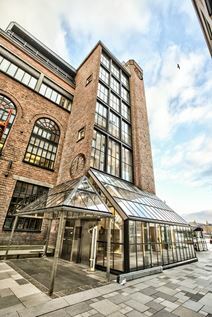 This centre is situated within a modern building in a prestigious area of the commercial district in Oslo. The office-spaces maintain good levels of natural light and are very spacious, airy and light which facilitates increased productivity for employees. Here, there are numerous amenities to assist your business as it develops including; conferencing facilities, business lounge areas, interview rooms, high-speed internet access and fully equipped meeting rooms. The office building is perfectly situated a short walk from an idyllic marina, and is well connected through public transport. The international airport is a mere 15-minute drive away, and the NSB Nationaltheatret Train Station is half a mile away, allowing your business to maintain relationships across the city and globally. In addition, surrounding the centre are plenty of bars, restaurants, shops, banks and hotels. This centre is perfect for businesses that anticipate many business trips and international clients since the airport is just 25 minutes away. This business offers range of exceptionally designed flexible work-spaces in one of the city's most remarkable buildings within Oslo’s popular Helsfyr area. You can benefit from 24/7 access, great transport links and a friendly on-site reception team to answer any queries and help your business thrive. Found in a highly convenient and central location, this business centre offers a contemporary and modern office solutions. Work stations are fully serviced and fully equipped with everything you need during your working day. The centre creates a comfortable and inspiring environment for professionals, where you can work efficiently and effectively. Services include postal services, copying facilities and meeting prep. 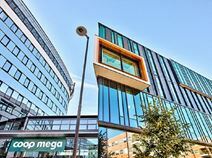 The centre also benefits from excellent public transport links with easy access to the bus, tram and train. Offering fully furnished offices in the heart of Oslo, this modern business space is contemporary and refreshing. Membership includes access to a variety of meeting rooms, which are fully equipped and can be easily booked using an online system. The centre offers a range of facilities including access to a fully equipped kitchen, common social and chill-out areas and cleaning services. Offices are spacious and bright, promoting your productivity and ensuring comfort in the work place. Located in the growing Vika neighbourhood of Oslo, this professional business centre is situated within one of the capital"s iconic buildings, ideal for creating a great first impression for visiting clients or guests. Fully furnished and well equipped executive suites, shared offices with open-plan space offered on the upper floors of the building. Within the immediate area, you can also find a concert hall, two cinemas and a museum. These offices are fully furnished and well equipped, with large windows and great views of the city and the bay. This is a well positioned business centre, close to a great range of local amenities, and easy to reach by car and by public transport. Close by, there are also many cultural attractions to enjoy, such as historical landmark and performance halls. Within walking distance, there are many restaurants. These highly adaptable, well designed offices are accessible 24/7, so you can work through your own hours. Located in a very attractive area of Skoyen, offices start from 10 sqm and work their way up to suit your requirements. In addition, you can arrive from your commute with peace of mind as the centre also offers secure on-site parking. And, with IT support, you can stay well connected at all times, regardless of the scale of your operations. 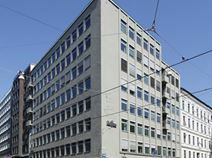 Modern office spaces are available in this building located in the centre of Oslo. The building offers several facilities and services to help you run a successful business, including secure parking facilities, 24/7 CCTV monitoring. 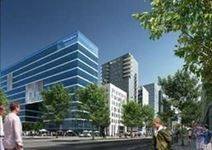 The office spaces are a few minutes’ away from the main railway station and well connected to the airport, as well as many cultural hotspots such as museums, historical landmarks and concert halls. Strategically located in a dynamic financial and commercial district, these offices are close to the railway station and well connected to the airport. The offices are provided with numerous facilities, including parking and disabled facilities. Here, there are complementary beverages so you can recharge throughout the day, as well as on-site parking for maximum convenience. Within walking distance, there are several gyms, shops, restaurants and hotels. The layout of your spaces can be configured to your desire, so you can scale up or down as required by your business. Flexible terms mean you can take a professional and invigorating work space without a large capital investment, and an all-inclusive fee neatly ties things up at the end of every month. You can also benefit from the usage of beautifully designed communal spaces such as kitchens, break spaces and access to global business lounges when you are on the go. A spacious open-office space is available to let in a modern building situated in a fast developing district of Oslo. The district hosts luxurious hotels, shopping centres, while numerous buildings, centres and facilities already projected will be realized in the near future. 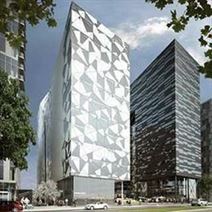 Close to the most important commercial district of the city, this area is well connected to the city centre and the airport through a high-speed train. Enjoying a lovely location in the Fornebu area overlooking the Oslo Fjord, this highly stylish expanding business complex is home to the headquarters of major players and offers a range of office solutions. The centre offers great restaurants and facilities for your employees, whilst the surrounding area has a peaceful and pleasant community that constitutes an ongoing residential and retail development. A short distance from the Harbour and Slottsplassen this business centre is located in a vibrant Oslo neighbourhood and provides 1,000m² of office space from a modern, renovated building. The building is also home to Louis Vuitton who occupy the first two floors of the building. There is an online community with online meeting room booking and with the ability to communicate with other members, plus you have the chance to attend networking events with other members of the space. There is a bus and tram stop a road away, meaning this centre is easily commutable and provides access to the rest of the city. This centre is well situated within a stylish modern building with glass exterior, and features an array of professional facilities that are particularly useful for developing businesses. Here, there are spacious meeting rooms, videoconferencing facilities, business lounge areas and extensive on-site administrative support available. Additionally, the centre is accessible 24-hours a day which is ideal for liaising with overseas clients. A dedicated reception service is also provided on-site who are able to handle general administrative duties. Local amenities surround the centre including an abundance of retail opportunities, stylish bars, cafes and prestigious restaurants. Public transport connections are plentiful and nearby, with buses and trains running extremely close to the building regularly. Due to open soon, this centre is close to the bank of the River Akerselva in a fast developing business area that is home to many high-tech and services companies. Rooms are well designed with a comfortable yet impressive atmosphere. You can take advantage of meeting rooms, 24 hour access and IT support. There is also parking on-site, making commutes as simple as possible! Close by, there is a shopping centre which houses excellent retailers, restaurants and more. Only 14 minutes from Oslo city centre, this modern, high-tech conference centre boasts 2 auditoriums, several meeting rooms and a restaurant with a capacity of 500 and the possibility of bar service and live music. Free guest parking will allow for easy access to the centre. The surrounding area offers an abundance of transport links for straight-forward commutes, as well as an abundance of attractions and amenities, such as restaurants, shops and a trampoline park. Located in the heart of Oslo, this prestigious centre offers ideal solutions for companies and entrepreneurs. The centre consists of a large open-office space, meeting rooms and offices, available at flexible rental terms to meet the needs of any company. These stylish office spaces are fully furnished, equipped to a high standard and provided with a wide range of services and facilities, offering you a very professional environment. The centre hosts numerous companies and is well served by public transport. Set within one of Oslo's key and central business hubs, this modern and newly opened business centre is a significant and major provider of high quality and luxuriously furnished office space suitable for any type of corporate client and an ideal working environment for professional workspace requirements. 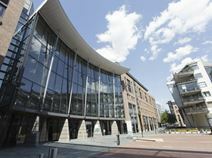 The region features a multitude of exceptional transport links and local amenities; which perfectly complement the fantastic on-site facilities such as the state of the art technical equipment, spacious meeting rooms, comfortable breakout space, collaborative co-working areas, excellent support staff and dedicated high speed internet connection. This stylish and modern building, designed by a famous architect, offers a selection of offices of various sizes. The building is furnished to a high standard and sophisticatedly decorated with great attention to details to offer you a first-class working environment. It is provided with state-of-the-art technology and professional reception and administrative services. Located in the most important and dynamic business district of Oslo, this prestigious building is surrounded by numerous shops and restaurants, pharmacies, dentists, hairdressing, cinema and a wide range of services and facilities. Only 45 km from Oslo Garermoen International Airport, this space is in the heart of Oslo and offers generous open space with ample light, perfect for your thriving business. A modern facility with the latest technology, gym room, bicycle parking, and showers while retaining the original features of the historic building. This centre has strong transport links, such as; bus, metro, car and bike. Less than five minutes' walk from the central railway station – a major transport hub providing easy local and national access by bus and train. This centre is well situated in a thriving business hub of Oslo, with access to professional amenities that will complement your business as it develops. All office-spaces are available on flexible terms at affordable prices. Here, there are spacious meeting rooms, high-speed internet, break-out areas and access to a stunning courtyard. A friendly reception service is also available on-site. Set within a thriving business community, this centre is well situated with direct communication to several major transport links and a wide range of local amenities including stylish bars, restaurants and trendy cafes. The office membership is for growing teams of two to 40+ people. There are offices in all shapes and sizes - spread over 13 different floors, and you can benefit from 24/7 access. The hospitality floors include an on-site café and six different event venues. The membership floors have a mix of coworking spaces, fixed and flexible desk space and offices suitable for between two to 40+ people. At this centre, you can choose from different types of community memberships to nurture, grow and expand your network.